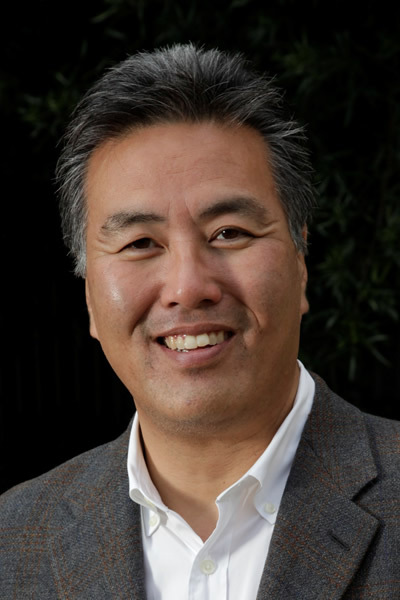 Mark Takano is poised to make history. The openly gay congressional candidate is the only Democrat running in a newly created Democratic-leaning district in California. And if he wins in November 2012, the 51-year-old Japanese-American would become the first openly gay person of color elected to Congress. Takano said this “double-awareness” comes as a result of the discrimination that both Japanese-Americans and LGBT Americans have faced in this country. In 1942, President Franklin Roosevelt issued an executive order placing an estimated 110,000 Japanese-Americans in internment camps as the United States battled Japan during World War II. Takano said his parents and grandparents were among those who were interned, and his grandmother lost the property she owned as a result of the government’s action. The U.S. government eventually apologized for its actions. In 1988, Congress passed and President Reagan signed legislation apologizing for the internment and disbursing more than $1.6 billion to Japanese-Americans who had been interned and their heirs. Takano said he believes the LGBT community will achieve a similar victory in reaching full legal equality. Takano said he expects to take the Employment Non-Discrimination Act over the finish line during his tenure in Congress. He also said he wants to work toward repeal of the Defense of Marriage Act and passage of the Uniting American Families Act. His election to Congress would also help maintain the level of LGBT representation in the House. Rep. Barney Frank (D-Mass. ), the longest-serving openly gay U.S. House member, announced in November that he won’t seek a 17th term in office. Lesbian Rep. Tammy Baldwin is leaving the House to pursue a run for U.S. Senate. That leaves Reps. Jared Polis (D-Colo.) and David Cicilline (D-R.I.) as the only incumbent openly gay U.S. House members. Mark Pocan, another openly gay candidate, is seeking to win the seat that Baldwin is vacating. Reflecting on Frank’s retirement, Takano said he feels a tinge of sadness that he won’t be able to serve alongside the Massachusetts Democrat. “I really hoped as the first openly gay member of Congress who is a person of color that I get to serve with the openly gay member of Congress who’s the most colorful,” Takano joked. He said Frank’s departure should instill a “sense of urgency” in the LGBT community in the upcoming election to maintain the number of openly LGBT people in Congress. But the No. 1 priority for Takano if he’s elected to represent California’s 41st congressional district is addressing what he calls the “disastrous unemployment situation” in the country. According to the Labor Department, the national unemployment stands at 8.6 percent, which is down from recent months but still a high rate of joblessness. Takano said that has been the top concern of the donors he’s spoken to — including LGBT donors — as he makes the case for his candidacy. A public school teacher for 23 years specializing in British literature, Takano also said education issues are of concern to him and he wants to reduce the high-school drop out rate while increasing the numbers of students attending college. He also said his district suffers from air pollution and he wants to be an environmental advocate in Congress. Takano is no stranger to public service. In 1990, he was elected to the Riverside Community College District’s Board of Trustees and has served on that body since then. In 2001, Takano helped shepherd through the board a measure enabling Riverside Community College employees to have domestic partner benefits. The candidate also made earlier attempts at winning a congressional House seat. In 1992, he defeated six contenders to win the Democratic nomination for then-California’s 43rd Congressional District. Takano didn’t succeed in the general election, but lost by fewer than 550 votes against Rep. Ken Calvert (R-Calif.) in one of the closest congressional elections in California history. Takano made another unsuccessful attempt at running for the seat in 1994. Takano is likely to claim the Democratic nomination in the congressional race. The deadline for filing is March 9, and no other Democrat has yet to enter the race. Odds are also good for Takano in the general election. The 41st congressional district is new, but had it existed in 2008, President Obama would have won there by 20 points. Still, even though the district is Democratic-leaning, Takano isn’t in the clear because he’ll be up against a Republican opponent. Riverside County Supervisor John Tavaglione has thrown his hat into the race. The Human Rights Campaign, the Gay & Lesbian Victory Fund and gay Rep. Jared Polis (D-Colo.) have already endorsed Takano. During a recent trip to D.C., Takano also secured endorsements from retiring gay Rep. Frank as well as members of the House Democratic leadership, including Minority Leader Nancy Pelosi (D-Calif.) and Minority Whip Steny Hoyer (D-Md.). Additionally, Takano also won the endorsement of fellow Japanese-American Sen. Daniel Inouye (D-Hawaii), the most senior U.S. senator. Takano said Inouye’s support is significant because the senator rarely endorses a Democratic candidate before a primary is held. Did Mark Takano not know that German Americans and Italian Americans were also interned in the U.S. during WWII; or does he simply ignore this injustice? Perhaps as a member of Congress he can introduce a bill that will recognize the internment of German Americans. You are a liar neither German Americans or Italian Americans were interned during the Second World War; you should get your facts straight before you post lies. I’d like to satute Mark Tacano for his superb achievements and aspirations: He’s Gay, he’s Brave, and he’s Great! Let’s give him those three A sounds!